With 4K resolution, Total Touch Control, and the ability to natively run Android apps, the JTouch Plus INF7533 is a fully customizable, all-in-one collaboration and presentation solution. 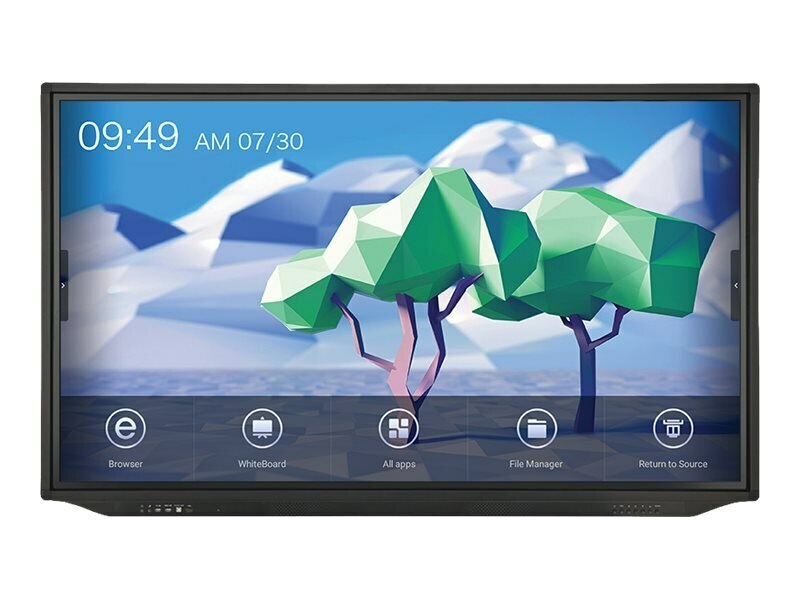 All JTouch Plus models include the four critical applications needed for interactive touch panels: Casting, Whiteboarding, Browsing, and File Viewing. Create on a full-featured digital whiteboard, present videos and photos, browse the web, easily connect and share content from your Apple, Windows, or Android devices with wireless casting. Plug up to eight devices into your INF7533 monitor. HDMI-based sources can also connect via five separate USB-B ports to access the panel’s touch control. Front access IO ports make it convenient to connect, view, and touch control any user’s PC temporarily with both HDMI and Touch USB. 400 x 600mm VESA mounting pattern.